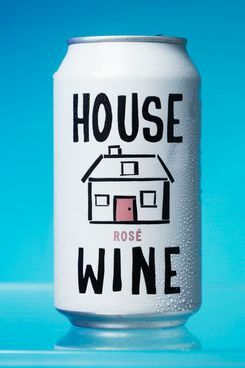 If the mark of true technological progress is doing away with even the mildest of inconveniences, then canned wine is something like the pinnacle of human achievement. It might not be the best wine out there, but you can throw it in your bag and open it whenever you feel like it, which is to say, it’s perfect this time of year when picnics, beach days, and concerts are on the agenda. This Santa Rosa, California, Pinot Noir delivered on the fruit-forward, berry flavor you’d expect in this type of wine and “actually tastes like Pinot Noir,” according to Cedric Nicaise, even if its lacking in tannins. As one of our non-somms put it, “This tastes like your typical, inky, dark, stone fruit–flavored table wines. It’s good.” In fact, this organic, French-born wine is good enough that you’re better off enjoying it in a glass than in a can. The rest of the panel felt the bubbles on this wine, the hipster offshoot of Seattle’s Precept Wine, the largest wine producer in the Pacific Northwest, were a bit too sharp, and picked up flavors of “fluoride” and a certain “overripeness” that could be attributed to too much sugar. Throw it in a cooler or even pour it over some ice, though, and you won’t mind too much. Vinny sparkling white wine debuted this summer, and it ain’t half-bad for the only New York City–born wine on this list. “Drinks like a diluted Riesling, but easy and mild, with a bit of spritz,” said one of our somms. 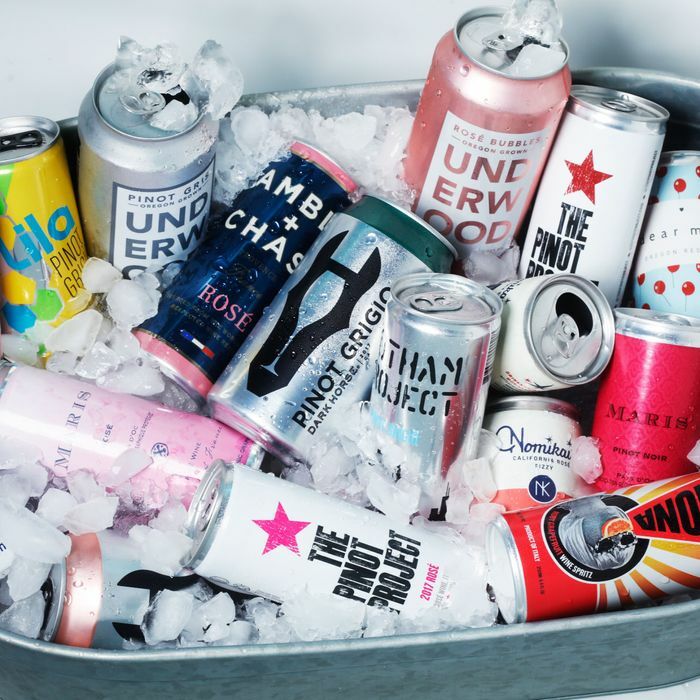 The final word on the Underwood Sparkling Rosé was that if you’re a hard-core lover of bubbly wines, this is the can for you. 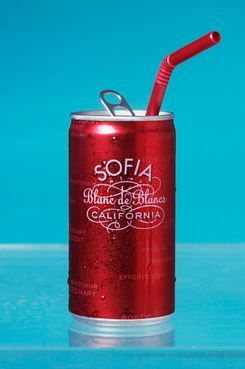 There’s a high likelihood that the reason this wine — a blend of Pinot Blanc, Riesling, and Muscat — won its category is because it comes with a sippy straw, which helped smooth out a wine that was otherwise “woody” and “a bit harsh and acidic.” The real upshot, though, is that the straw and the red can make it an excellent wine to sip covertly. This wine sharply divided our panel. On one side, one somm and one non-somm deemed the Lila Pinot Grigio “basic” and “super, super basic.” Meanwhile, the other half of the panel thought it mostly just tasted like an inoffensive, mildly sweet Pinot Grigio. Your own mileage may vary. 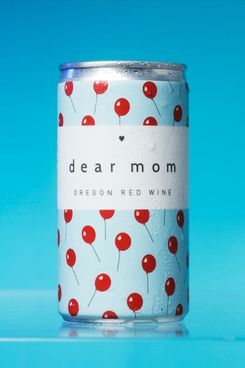 This Oregon wine is the kind of wine one panel member would be “happy to drink at a party,” especially if it were used in a spritz. Nicaise agreed that the acid in this particular brand was “great” and that it tasted as if the grapes used in this wine were picked at just the right time. Many of these wines seemed to lack any sense of place, i.e., the characteristics that come from growing in a certain climate, soil, and part of the world. 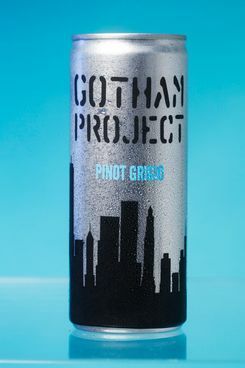 But Gotham Project’s Pinot Grigio, which uses grapes grown in Sicily, delivered: “You can actually taste the volcano in this,” as Nicaise put it, noting a pleasant bitterness and a long finish. The flavor of this very pink rosé with an ABV of 13.5 percent is all over the place. One panelist described it as slightly fruity and bitter, while another wondered if there was a little sugar added. All in all, the panel found that it had an unexpected heft that matches up with its surprisingly high alcohol content. The House Wine rosé blew all the others out of the water. Grays summed up its appeal: “Glass’able! Great body and texture, very ripe fruit and acidity. New World Bandol style, and everyone loves Bandol rosé. Could blind a somm on this and stump the chumps!” Or, as Nicaise put it more succinctly, it’s “actually good rosé,” and who’s going to complain about that? 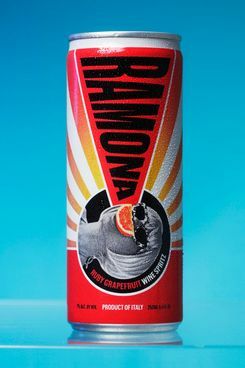 Ramona, the brainchild of Momofuku’s director of wines and special projects, Jordan Salcito, is one of the most popular white wine spritzes on the market, although it’s technically not a wine; it’s a “sweet, grapefruit-y” wine product. That’s what makes it appealing: The panel agreed that perhaps wine, and especially red wine, doesn’t really belong in cans. Making good wine takes time, which is at odds with mass production and canning. Ramona isn’t trying to pretend to be something it’s not, which is reason enough to grab a few cans before your next cookout.